Erica Cook | Calgary Based Lifestyle Blog: Lonny 4! Hi Erica...I just looked at my blog roll and the last four updates from my favourite blogs are all about Lonny...made me laugh! It's such a fantastic resource how could we possibly resist it!! Thanks for the heads up on this, Erica. I never know when it publishes. I know! It's so ab fab. Oh happy day! Get on it, girl, good for you for beating everyone to the punch! Can't wait to take a few moments and go check it out! I know, I know, I too blogged about it as soon as it arrived in my inbox, but you just have to share the love don't you. PS Loving reading your blog. yes, i'll be posting on it too. That chair was one of my favorites too! That green is so fabulous! Hope you had a great weekend! I read this last night and ate it up. sooo much inspiration! 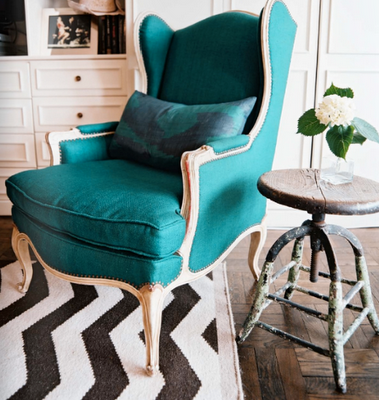 Totally loving that zig zag rug! I've been thinking about getting one of those. Thanks for reminding me I need to go check it out! never seen this mag before... i love it... thanks for sharing! Erica, good to have you back from Spring Break, gorgeous Mama! (Yeah, I have been a little slow with my comments this past week...). Yes, Lonny images are floating around - but this one needs to be looked at over and over again. The chair, the stool the rug work beautifully together. Very inspirational! 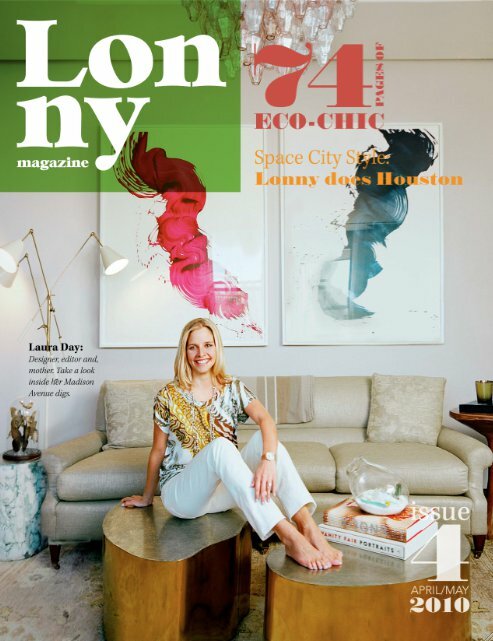 I actually didn't know about Lonny (I know, where have I been, right?). I'm going to check it out. It looks like the kind of inspiration I'm looking for. Thanks, Erica.